This past weekend we introduced our children to Mr. Wonderful’s other greatest love. 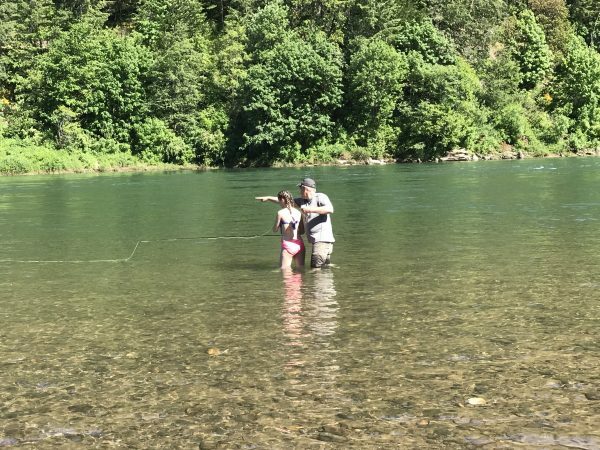 It is his first love, after his love of God, and although I come in a close second there is nothing like the peace that comes over this man when he gets in the river and casts a fly line. Some of Mr. Wonderful’s fondest memories as a kid centered around the days when his dad would show up at school unannounced, and take him out for a day of fishing. 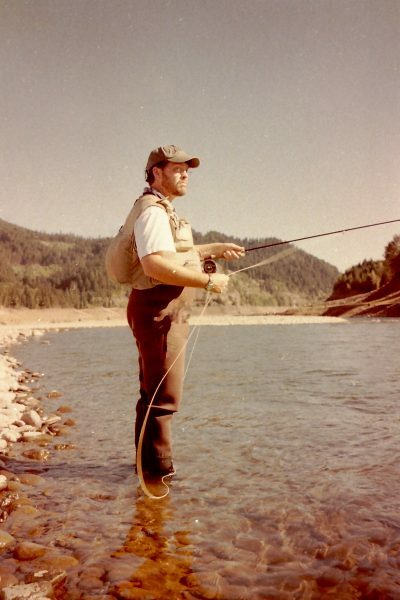 In college at Central Washington University he was introduced to the world of fly fishing, the one activity that makes him feel closest to God. When we met, Mr. 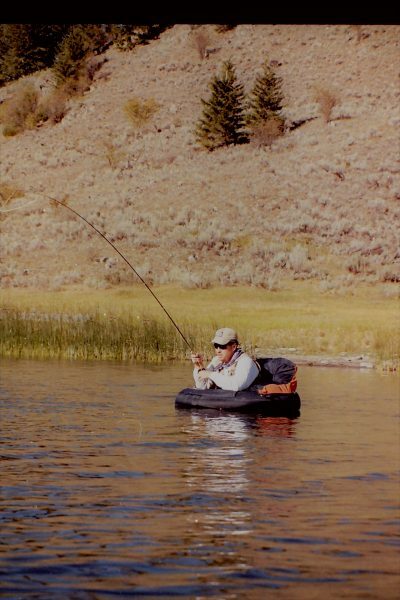 Wonderful spent a lot of his spare time tying flies and finding ways to get out on the rivers of Central Oregon. 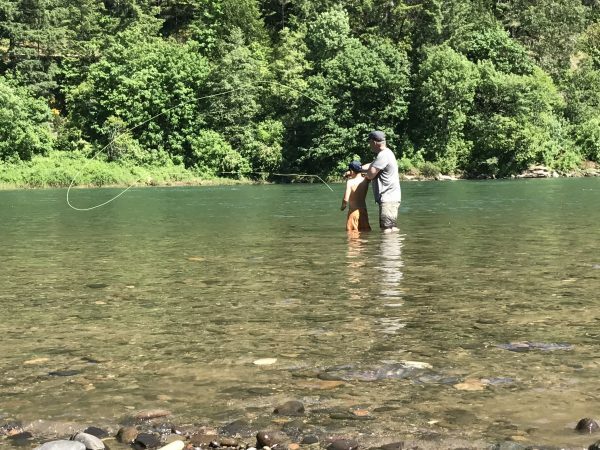 I knew I was getting under his skin when he took me to the Deschutes River and we spent the entire day talking fish, casting and line positioning. Mr. Wonderful is a different person out there on the river bank or cruising around in a float tube on a pristine Cascade Lake. I have always told him my favorite days with him are the days we are headed to the mountains. We laugh easier, joke more and take one moment at a time. 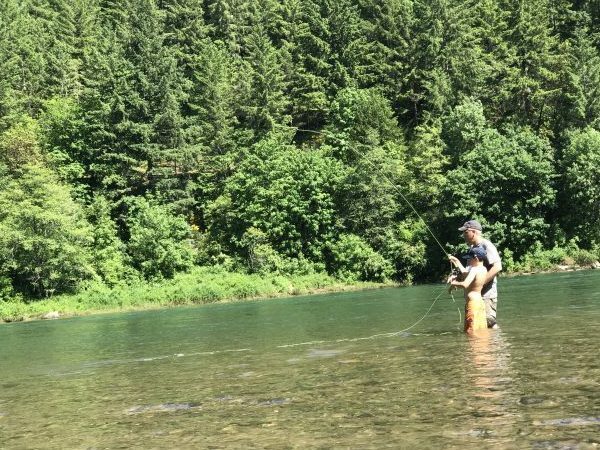 Unlike any other activity, he is involved in this is the one where he can let everything else go and only focus on the line, the water, and the fish. 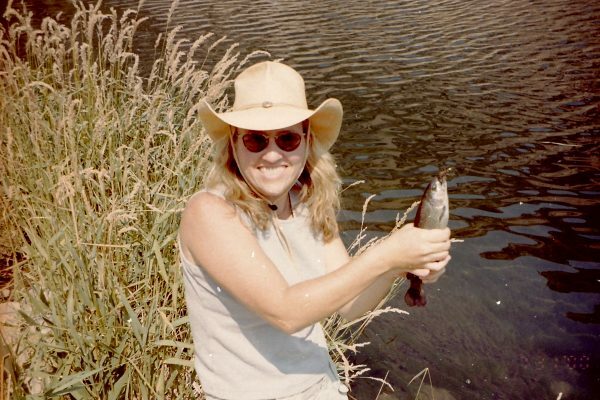 Everything in life has a season to it and after we were married and began having children, priorities changed and so did the fishing. 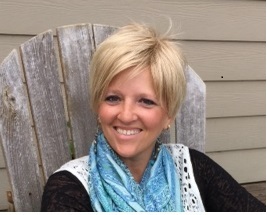 Natalie hung with us on a few fishing adventures but adding another child to the picture and then moving to Coos Bay, changed everything. Don’t get me wrong, there is a ton of fishing to be done on the Oregon Coast and as much as Mr. 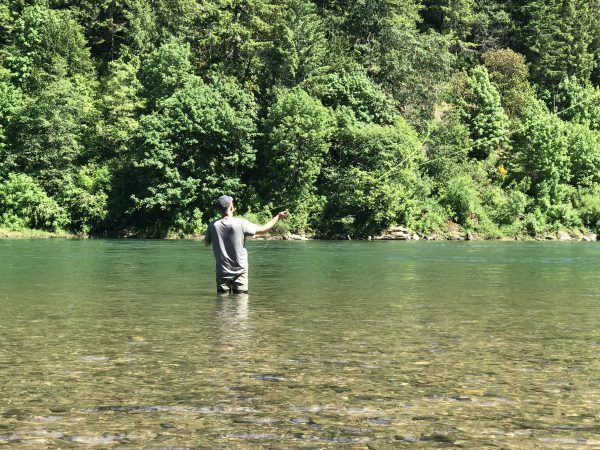 Wonderful has enjoyed getting out on the bay or hanging with buddies on a local river, it has never quite touched his heart and soul like the peacefulness of casting a fly line on a mountain river or lake. A few weeks ago I posted about getting back to living and doing things that make us feel more alive. Fly Fishing is one of these things. The kids are older now and have taken to fishing quite well. When we were getting ready to go camping for Memorial Day Weekend I suggested to Mr. Wonderful that he bring his fly gear and introduce his children to his favorite past time. 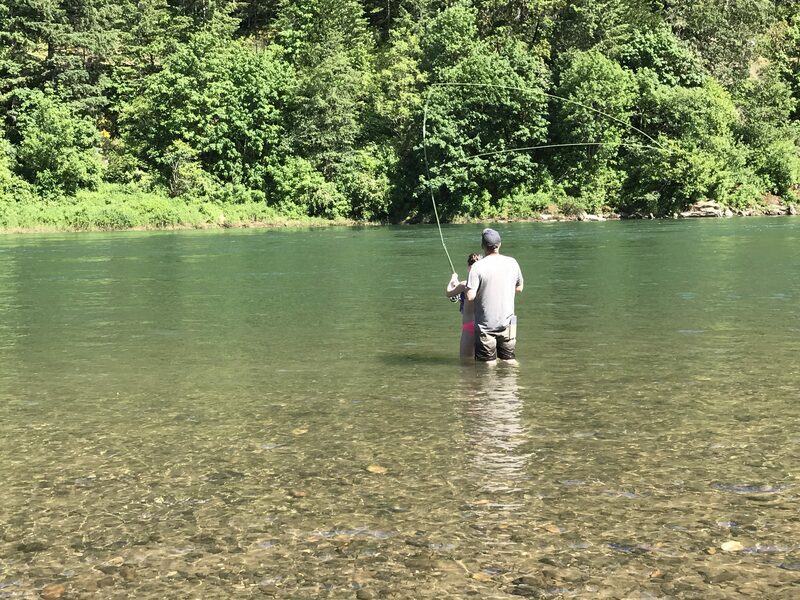 It was a beautiful thing to watch the kids out there in the river with their dad. Most of life is not peaceful and serene, so I cherish these moments with my family. My hope is through their dad’s love of fly fishing they will catch the passion, the rhythm and the grace and it will inspire them to find their own activity which brings them this much joy. 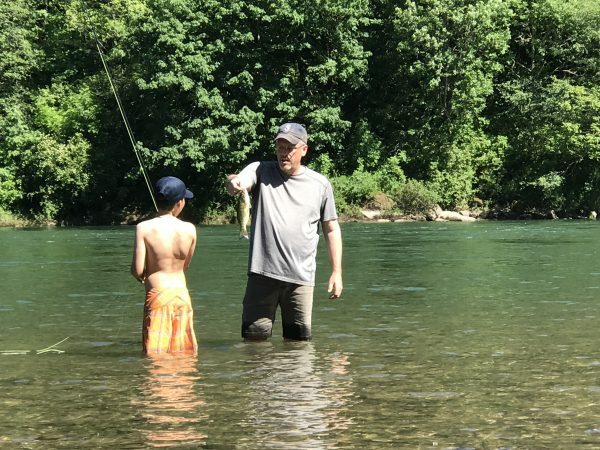 For now, they get the opportunity to hang with their dad and learn all the lessons in life that the achievement of a perfectly casted line can bring. That was one of my John’s favorite things. He tied flies and was always looking for new places. Now Collin and Matthew enjoy this sport some. Passing on love of the outdoors pleases God.